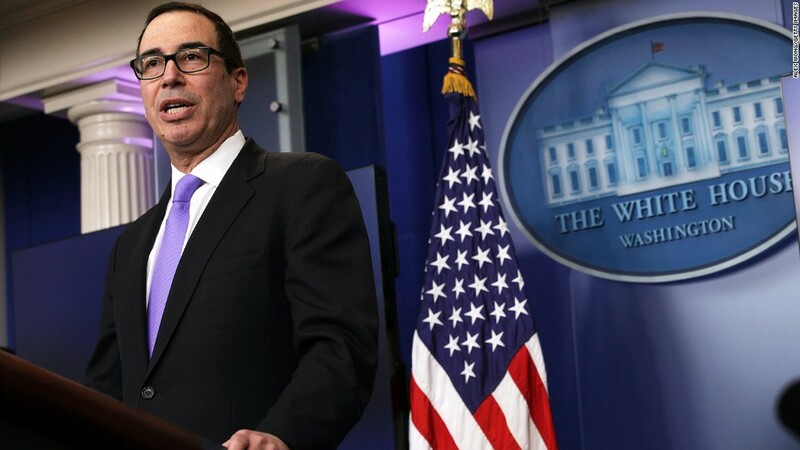 Treasury Secretary Steven Mnuchin says he didn't mean to promote the Lego Batman movie. On Friday, Mnuchin, who was a former Hollywood producer, tried to clarify remarks he made last week in an interview with Axios during which he appeared to endorse the movie when asked for a film recommendation. "It was not my intention to make a product endorsement," Mnuchin wrote in a letter to the head of the Office of Government Ethics seen by CNNMoney. The ethics office works with executive branch officials to avoid conflicts of interest and can recommend penalties. "I should not have made that statement," he wrote. During last week's interview, the secretary initially declined to give his preference for his favorite movie and acknowledged as a cabinet member he wasn't "allowed to promote anything that I'm involved in." But added quickly, "But you should all send your kids to Lego Batman." Mnuchin was an executive producer on the movie, which is a spinoff of 2014's The Lego Movie. His company, RatPac-Dune Entertainment, financed the film. Friday's letter by the Treasury Secretary comes amid a backlash by Democrats and ethics critics, who have raised alarm over possible violations of government ethics rules by Mnuchin. Senator Ron Wyden, the top Democrat on the Senate Finance Committee, has already asked the ethics office to examine Mnuchin's comments. Wyden said those remarks showed a "blatant disregard and disrespect to the office he serves." The ethics office head Walter Shaub, Jr. wrote back to Wyden Friday. He said "I share your concern about [Mnuchin's] remarks." But because Mnuchin apologized and promised to be more cautious going forward, Shaub said he doesn't think further disciplinary action is necessary. Shaub did express frustration that the White House didn't take stronger action against Trump aide Kellyanne Conway in February after she plugged Ivanka Trump's fashion brand on Fox News. "I cautioned [The White House] that 'not taking disciplinary action against a senior official under such circumstances risks undermining the ethics program.' This latest incident seems to prove my point," he wrote. Mnuchin has promised to divest his interests in the company within four months of being confirmed by the Senate, according to his ethics agreement. He has also pledged not to knowingly participate in anything that would impact the company's "financial interests" until his shares were sold. "I take very seriously my ethical responsibilities as a presidential appointee and the head of the Department of Treasury," Mnuchin wrote.